This looks like a big show for autograph hounds. 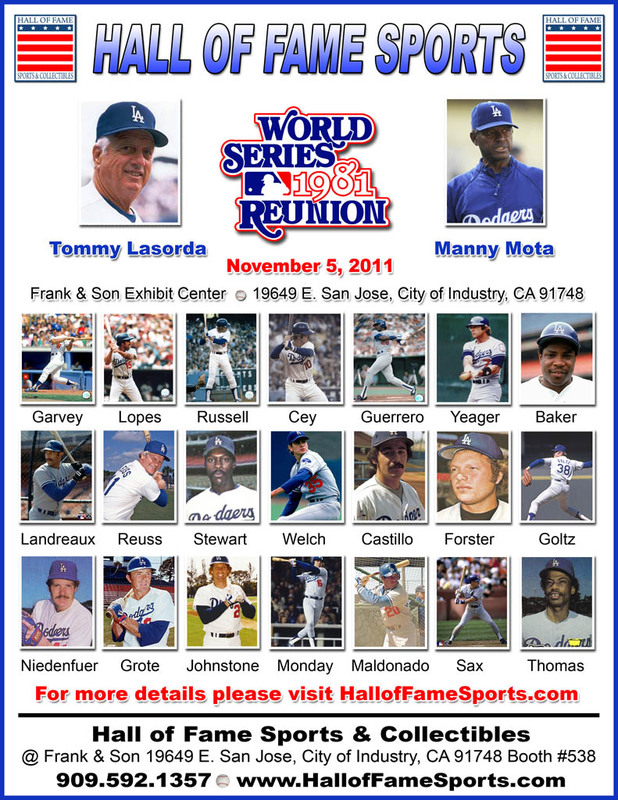 Frank & Sons in the City of Industry will be hosting the 1981 Dodgers Reunion show at their weekly collectors exhibit show tomorrow. It figures to be a pretty big event. I wish I could be there, but I had already made a commitment to help some good friends of mine move-in to their first home. Robbie, you owe me one! 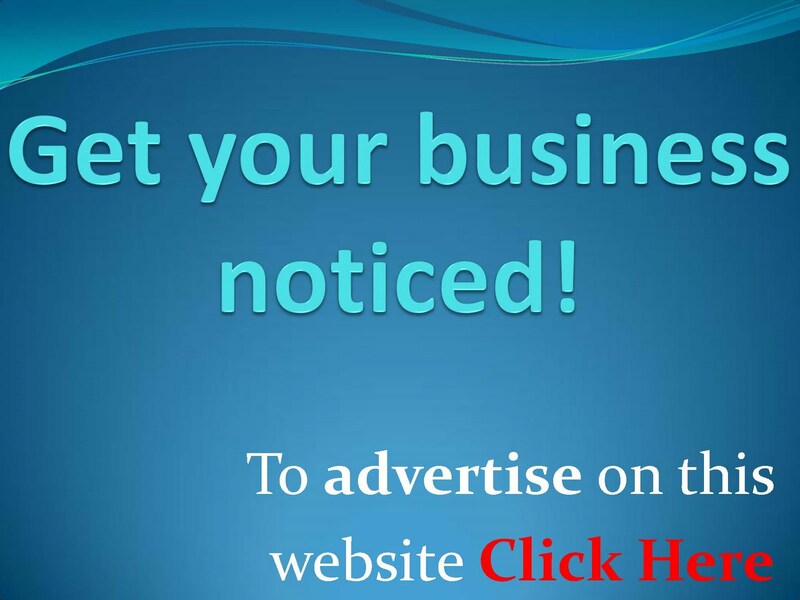 Go here for more details regarding cost and appearance times. UPDATE: BTW, I thought I would make this friendly reminder to tell you about The Calendar Page for this blog. In the Calendar I note down various autograph opportunities available throughout the southland. 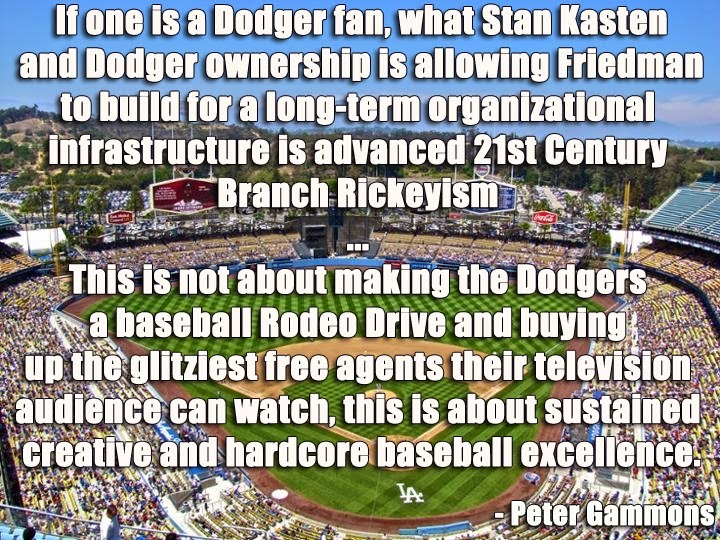 It not only includes Dodgers events, but other team and sports, as well. I include MMA, Basketball, Football, Hockey and MLS- just to name a few. 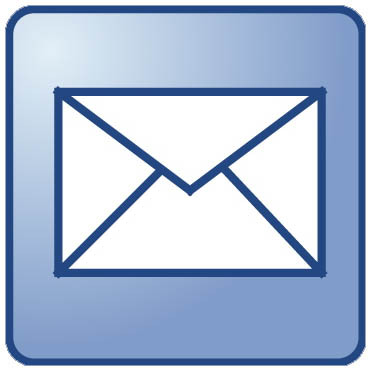 The Calendar can be reached near the top of this blog by clicking calendar or can be seen along the far right sidebar, towards the lower half of the page. I think the MVP award is next. 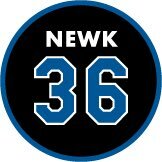 Pic via @Dodgers Twitter. Tommy is pulling for Peter O'Malley, via Steve Dilbeck of LA Times. Look at that. Just more awards for our favorite Dodgers. 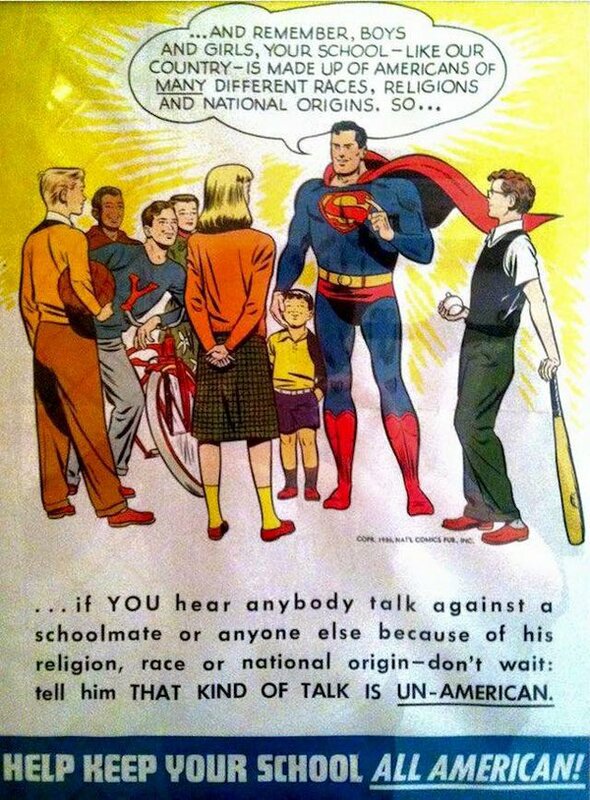 Via Ken Gurnick at MLB. Matt Kemp and Clayton Kershaw continued their offseason collection of honors Thursday, Kemp being named the National League's Outstanding Player and Kershaw the NL Outstanding Pitcher in the annual Players Choice Awards. Looks like Frank is going back to Boston. Unfortunately, we get stuck with Jamie. Via Bill Shaikin. Under a divorce settlement filed Thursday in Los Angeles Superior Court, Jamie McCourt kept four homes — two in Malibu, one in Holmby Hills and one in Vail, Colo. Frank McCourt kept two homes, both in Massachusetts. 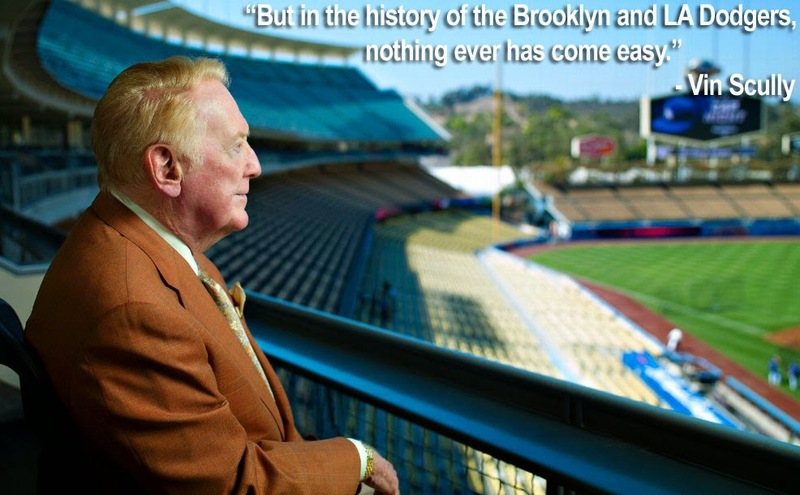 Call to the Pen explores the similarities between the 1941 and 2011 Dodgers. 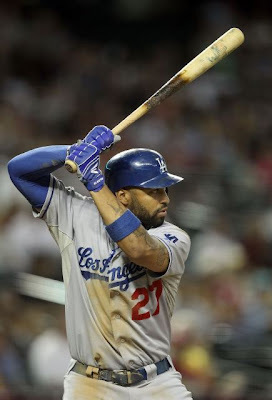 Jared Massey starts a new Dodger blog called LA Dodger Report. RIP- Matty Alou. Via NY Times. I might have to pay for this. 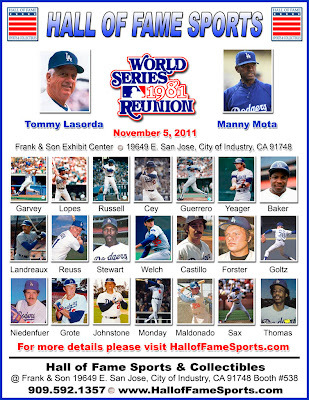 Jose Canseco and Lenny Dykstra to fight, via Big League Stew. 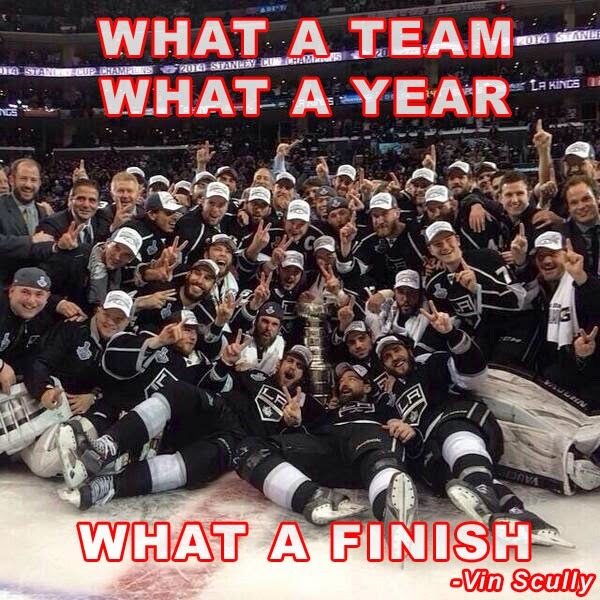 Congrats to the LA Galaxy on advancing in the playoffs, via LA Inspiration. A big shout out to Jon Weisman at Dodger Thoughts for finding this video. Get Animated. 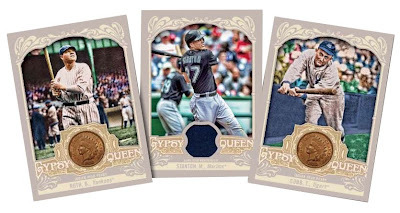 I really like this new design for next seasons 2012 Topps Gypsy Queen Set. 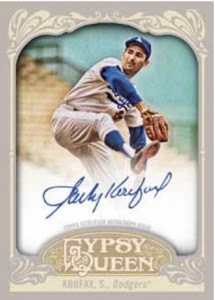 Even better is the above Sandy Koufax autograph card. 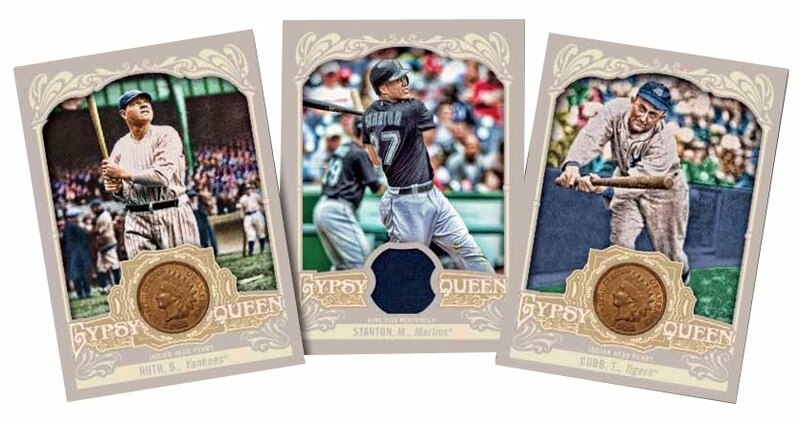 Heck, the Indian Head Penny's embedded within the cards below would look mighty nice in my collection. The set is expected to be released on April 18th. All I can say is that the Baseball season couldn't come any faster. Check out Beckett for info and pics, here. Yesterday, I featured some great items available in SCP's current auction. 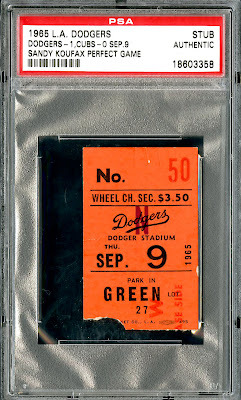 Today, I show a couple of more Dodger related pieces I thought worth taking a look at. 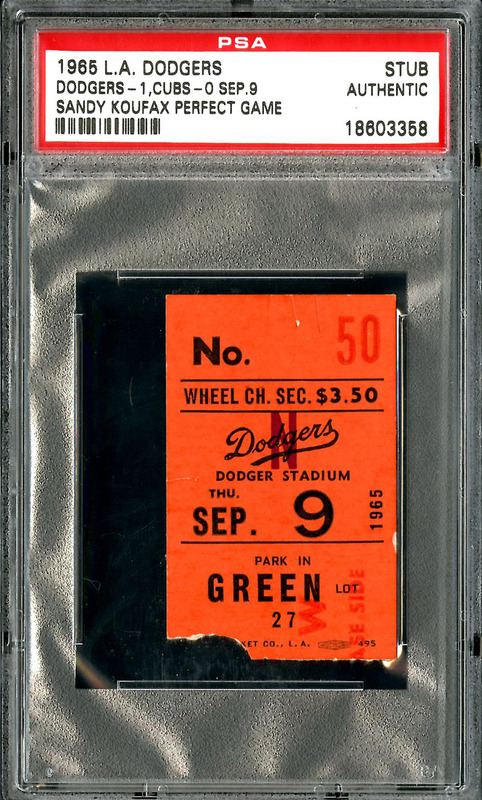 Here is a ticket stub from Sandy Koufax's perfect game against Chicago on September 9, 1965. He blanked the Cubs 1 to 0. This is a 1955-58 Duke Snider game used Baseball bat. It was once a part of a homemade bar stool made with gamer bats that included Yogi Berra, Ted Williams, and Mickey Mantle. 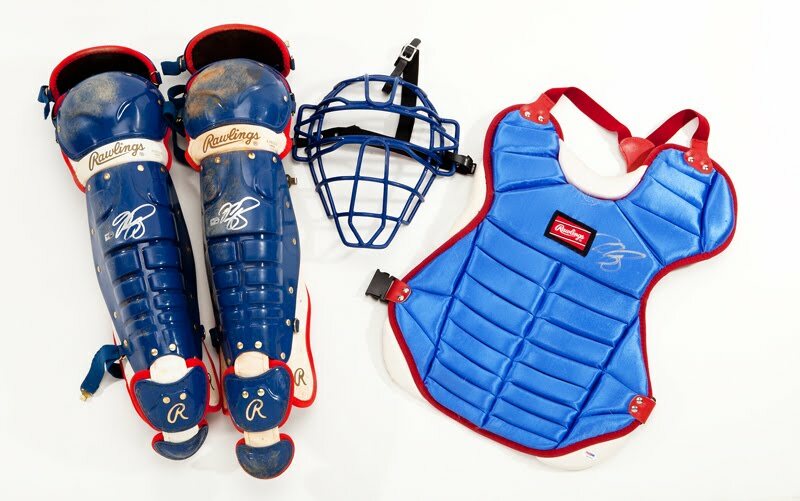 This is a full set of game used catching gear once worn by Mike Piazza.